Speed Deadlock 4WD wheel, employs a unique centre design with six dual vented spokes, to aid air flow across the brake system and further enhance heat dissipation within the rotating assembly. 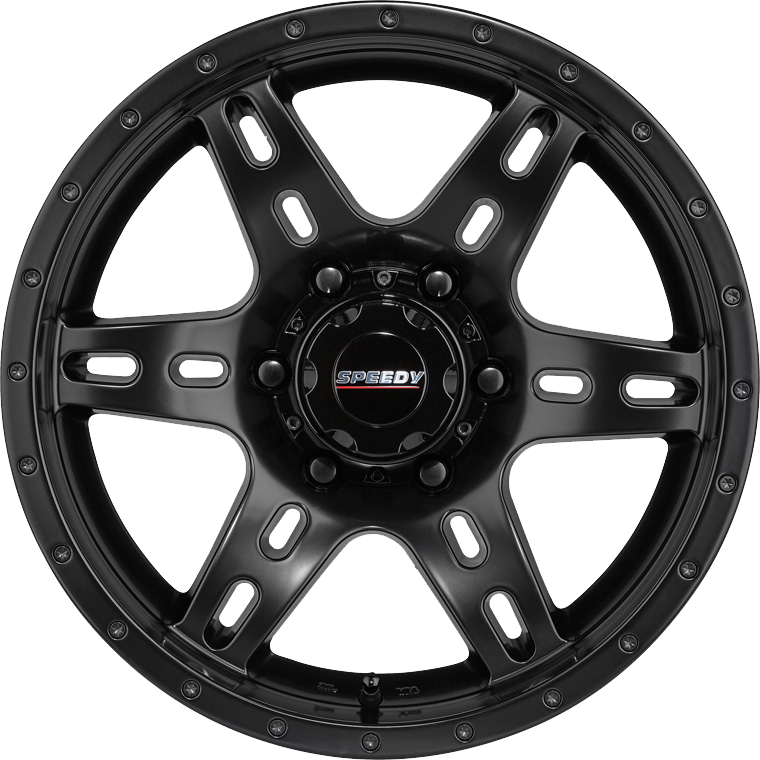 Speedy Deadlock 4WD wheel, employs a unique centre design with six dual vented spokes, to aid air flow across the brake system and further enhance heat dissipation within the rotating assembly. Finished in full Satin Black, the wheel's centre spokes are dished inward at the centre hub and this combined with a wide outer lip, promotes a very purposeful and dynamically styled 4WD wheel.